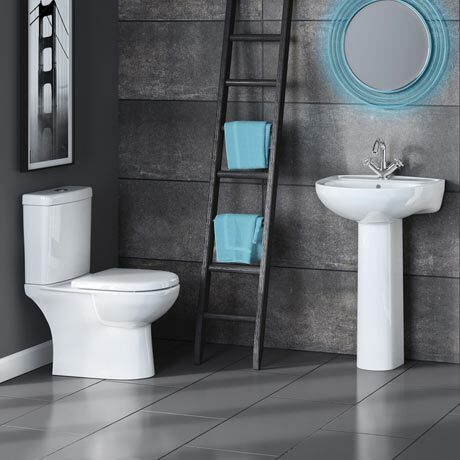 The stylish contemporary Lawton 4 piece modern bathroom suite, features a close coupled toilet with a luxury top fixing quick release soft close seat and a 550mm wide round basin with full pedestal. The Lawton range is designed and manufactured by leading bathroom brand Premier. Toilet comes with a quality a dual flush cistern for improved water consumption and the full pedestal helps conceal unsightly pipework from view. Mono basin mixer & waste not supplied.